I think everyone should have a creative workspace to get the job done. Although my workspace is not neat and tidy most of the time, I would like for it to stay that way! It just makes your work so much more productive and enjoyable if everything is organized and pretty. 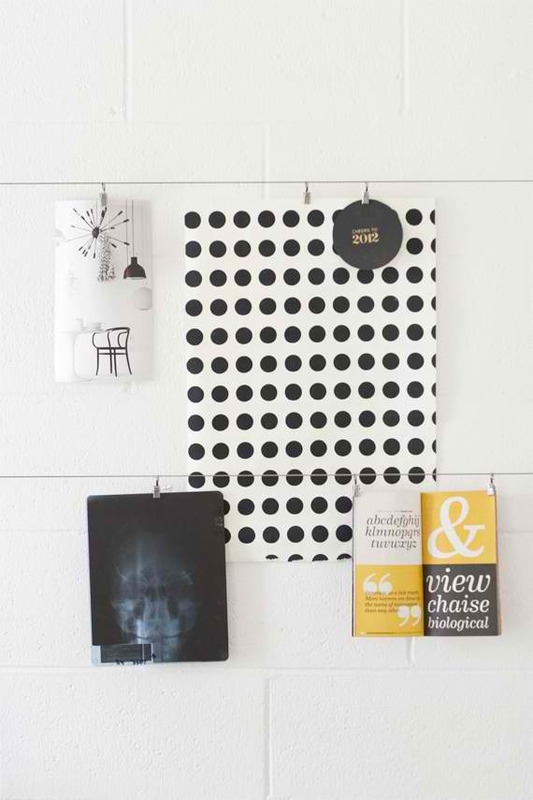 But if you are one of those who get inspire w/ clutter and chaos, I completely understand too! Another round up from my pinterest board, Workspace. Enjoy! 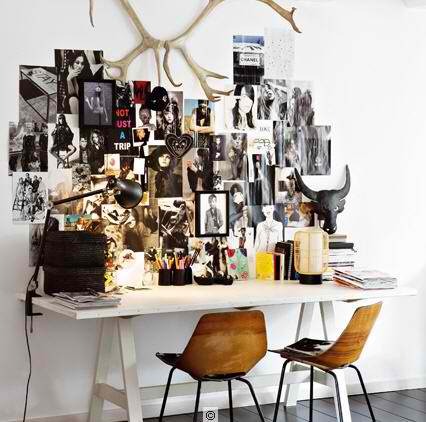 Do you have a fabulous workspace of your own? Please share! Reblogged this on Daniel Cahill Pages. That’s this afternoon sorted… off to buy some wires to hang all those postcards and photos I have languishing in a box. Thanks for the like, I would like your whole site if I could! I’ll content myself with a follow. Yup! nice and decent work spaces have always go0d effect on one’s creative side of mind…….. Thanks for your like on my blog! 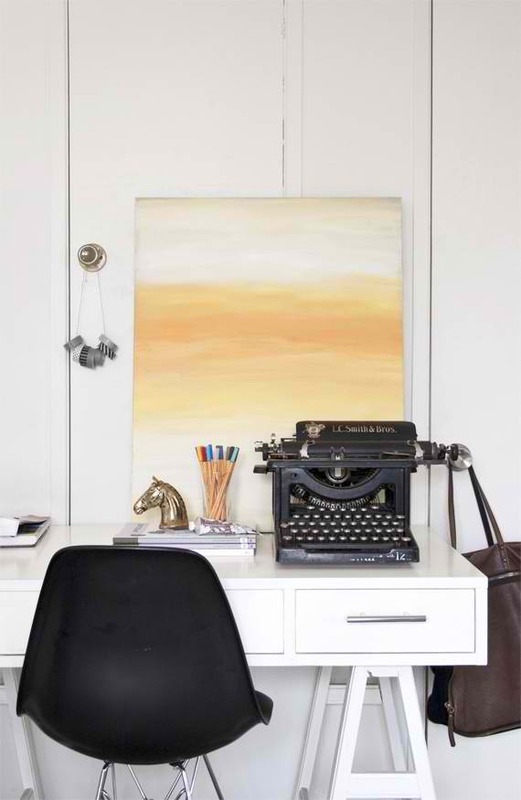 This is a wonderful post– I’ll be sure to follow that workspace board on your pinterest. I love the concrete walls space. It is just gorgeous. My favoriate is the first photo. That window is awesome and as a photographer it’s an ideal work space. Look at that light… :). 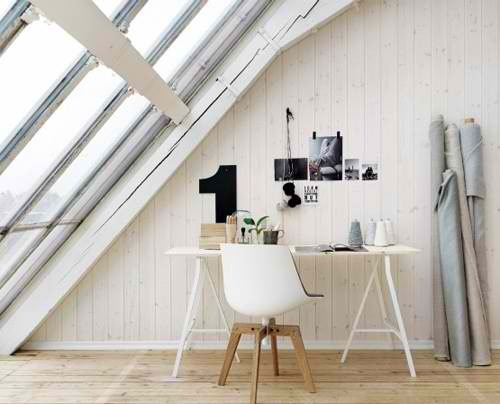 I want the attic workspace!!! 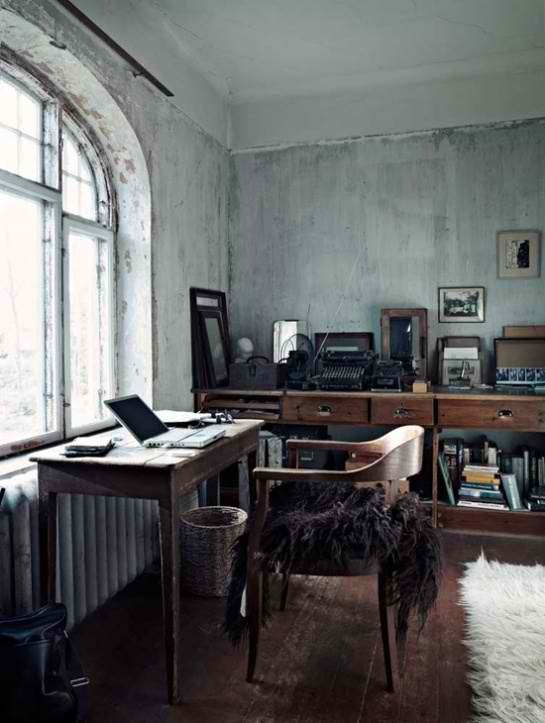 Love the natural light and this post because it just inspired me to stop procrastinating and go tidy up my office. omg love how u organized everything! clean, bright, white. i could work there for hours! I agree, I’ve slowly been window shopping for my work space. I want to use it for my blog as well as sewing. Thanks for the insperation. Love it! wonderful post and great examples of creativity. Can we, please, have a contest where we can win one of these?! I would be the next Dr. Hunter if I had one of these! Well, the next Monica Lewinsky… she wrote a book, right?! They are all lovely but the first one is very inspiring. So clean, and the view! everything looks beautiful! I am not so organized!! You deserve to expand your work space, as cute as it is. My work spaces are in blogging central post…I need my own space as my Husband and I share the office desk. Every girls got to have their own, don’t you agree?